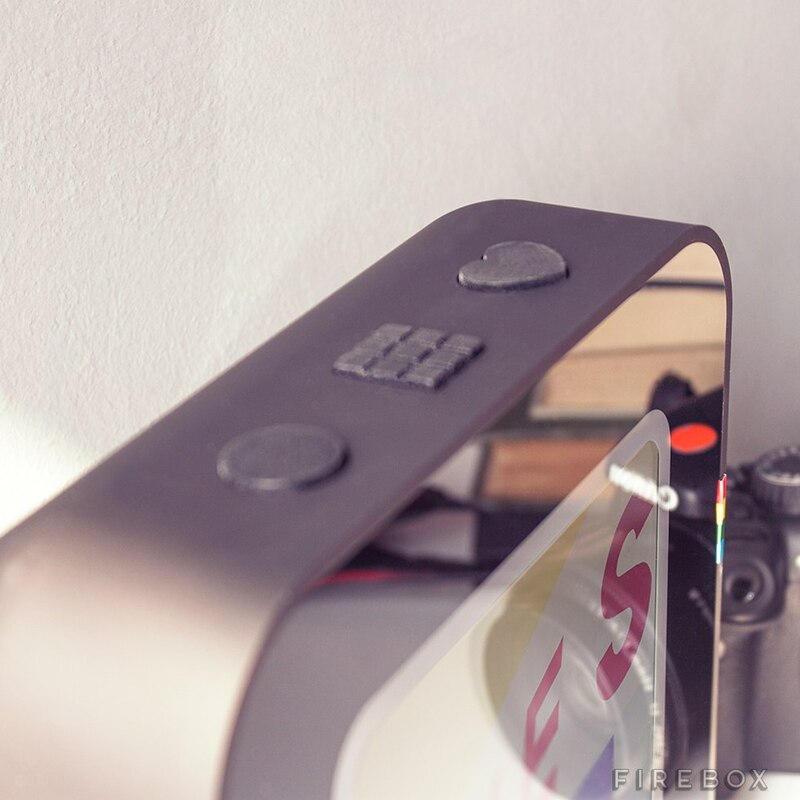 There’s a big market for ways to show off your digital photos in the real world (see Boomf, for example) – and Firebox have just introduced a new one to the UK: the Instacube. This wireless physical frame looks a fair bit like the Instagram logo (but not in a trademark-infringing way, we assume) and livestreams your perfectly-filtered photos, plus ones from people you follow. You can hook it up to Instagram or Facebook, and there’s even an adorable heart-shaped Like button on top. The Instacube has a screen three times the size of a standard smartphone display, so if you’ve only ever seen your selfies on a phone, prepare to be impressed at the size of your own head. Though Firebox do warn that “More than 3 selfies over any 24 hour period may cause #Instacube to spontaneously combust.” Eek. The Kickstarter-funded frame raised $621,049 from over 3,000 backers, has 4GB of flash memory and a rechargeable battery. So you’ll never run out of power for looking at your own face. In the UK, Instacube is available exclusively at Firebox for £149.99.